Human has learned to change everything, in order to gain what he wants effortlessly. This, of course, is an illusion. Human never really changed his environment, as he thought he did. The changes he made always aimed at … himself. Nature is not about animals or trees, sun or sky, oxygen or sea. Nature is about the laws on which sun, sky, sea, trees, animals… and humans were founded. These laws are still the same. It does not matter how much you value the human intellect, or how much in love you are with your mind and its creations, the truth is simple. Behind our inventions, our houses, the complicated machines we use to transport, communicate, survive, there is a real world intact by human thinking. The only thing that has changed is human. The creations of human thinking increasingly substitute him in all his life manifestations. This substitution is far more serious than we would like to believe. Human body is becoming more and more powerless and is drifting away with his emotions, as well as, his thinking. Do we need a research to prove that? Can today’s human being survive without any of his inventions? Don’t go far; can you spend a day without your computer? Can you see this clearly? Not as a point of view that seems logical, can you see the real essence behind it? Can you see that our lives are under mechanical support and that if someone pulls the plug human is going to fade? If this seems excessive, try to live, just for one day without the use of any appliance and think about it again. The pretext of “a better life”. Have you ever observed the image of someone working out in a gym, using a treadmill to walk? Do you understand this image? Have you seen the way this lifestyle is promoted? Have you seen the transparent glass used in order for dozens of people to be in public view, walking on a treadmill even at 12:00 in the midnight? Do you realize that things are getting out of proportion? For centuries, human has been trying to evade from the animal inside him, without realizing that this animal is the only connection he has with his real essence. The struggle to impose on whatever represents the animal is beyond any control, and now we find ourselves at the other side of the spectrum. Nobody claims that we should go back in the past, or reject technology… but do we understand that we have to set a limit? We live as if somebody has given us whatever needed to keep us hypnotized in a dead end process. Do you believe that we can have a better future? Do you want to search on you own for the statistics, showing an increase of the autoimmune diseases? Do you want to search on your own; on what is hiding behind this increase? Do you want to know how many of the people around you use legal or illegal psychotropic substances, in order to manage to make it through the day? Let’s take a cold look at ourselves as a species. Do it, see us from the day we are born to the day we die. See everything and then answer on the question of what evolved in human beings through the years? His health, definitely not; he needs the support of vaccines and other medicines even from the time he takes his first steps, in order to stay alive; while the viruses that turn against us become more clever and powerful. Do not get misled by the increase of average life expectancy, because long living does not mean anything, unless it comes along with life quality. Did we evolve “Psychologically”? Anyone asserting “psychological” evolution of a species that its members daily read articles on how to live, what time they must sleep, or wake up, how much they must work, what they are supposed to eat and they socialize through social media must be joking. Knowledge and science are galloping, leaving a powerless creature behind them. The need for a dog. Feeling that the dog ceases to exist in him, human being wanted something extraneous to substitute the missing part. For years, I have been observing the smile of people watching their dogs running and playing. I took me even more time to realize that behind this smile there is a piece of nostalgia. At this point we have to face the dilemma. The dog can be led at the exact point the man is today or we can let the dog lead us to the revival of what ceased to exist inside us. The end of first phase. We talked about the current human condition. 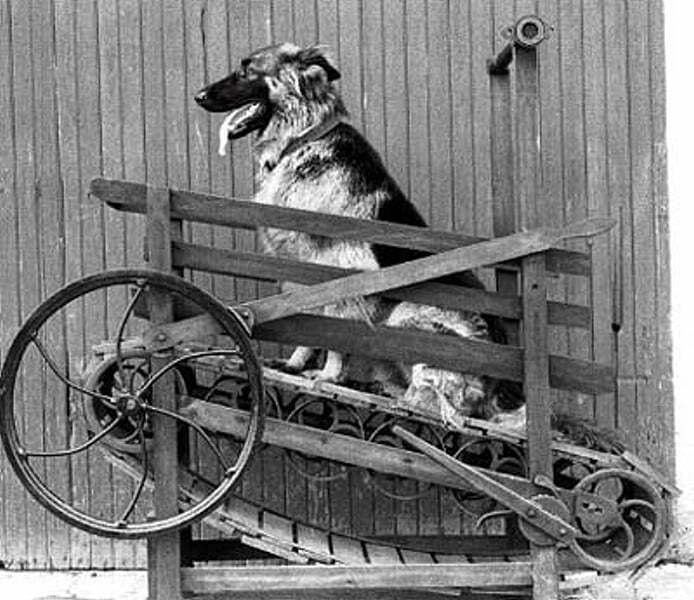 We analyzed, I hope in a conceivable manner, the behavioristic similarity between human and dog. We gave another dimension to the term training, differentiating it from the notion of obedience. We also saw how the occurrence of a behavior is connected with the stereotype, the education (training), and the biological functions of a body. 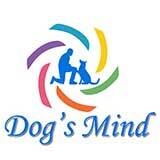 The idea of Dogsmind.gr was based on the fact that no aspect of our lives is dissociated from the others. We are used to see things fragmentarily, to the extend that we do not realize that all of our decisions to intervene in everything outside of us, has an immediate effect inside us. It is important to start looking for the connection of things, learn to look at our actions considering of their impact and effects on us and those around us, at least until we acquire the instinct that will lead us to adequate action, without the need of thinking; until we learn to look at the world, not as dog trainers, doctors, lawyers, workers, or anything else, but as humans.